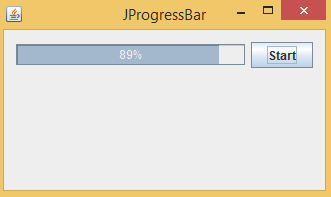 Swing ProgressBar represents the progress of the task in percent format. Before digital marketing progressBar was used in computer environment to know the status of the transferring data from one system to other devices such as pen drive. Here class name should extend JComponent to inherit the properties and should implement SwingConstants. 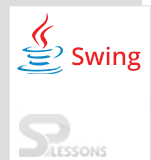 Create a class Swing ProgressBar that should extend JFrame, ProgressBar will hire the properties from the JFrame. Create required events i.e create timer to check the status, create Swing ProgressBar to scroll from starting to ending, Create button such as start or stop . Call the created method and create object to Swing ProgressBar, add paint to the progress scrolling status. Create object to the start button and implement ActionInterface interface. When user click on start button ,action will be performed. To create the gap between the components developer will use setAutoCreateContainerGaps(true);. While fetching the data from one device to another device, data will be visible in percent format.